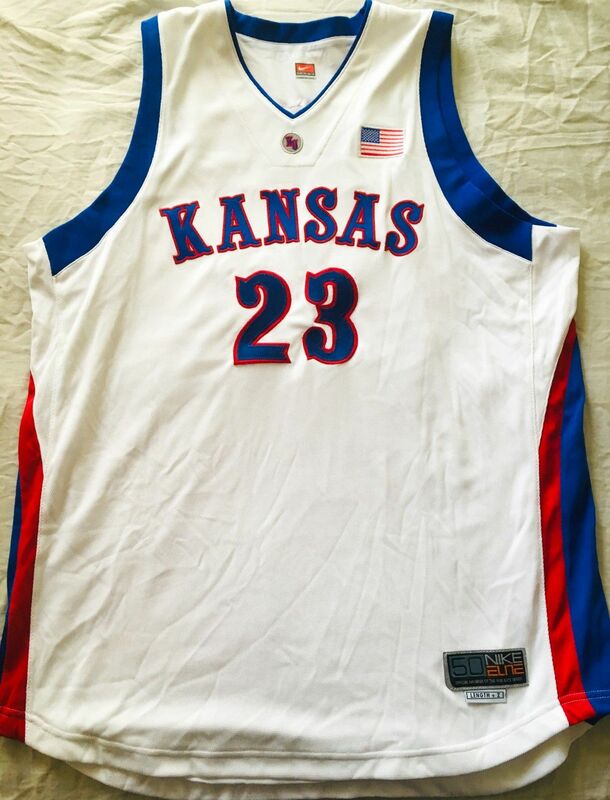 Extremely rare Wayne Simien authentic Nike Elite Kansas Jayhawks 2001-02 season team issued home white size 50 (Length +2 inches) jersey with stitched-on cloth tackle twill double layer name and numbers and embroidered American flag patch. This is the exact style worn by Simien and the Jayhawks during his freshman season when Kansas reached the Final 4. NEW, NEVER WORN (NO PAPER TAGS). 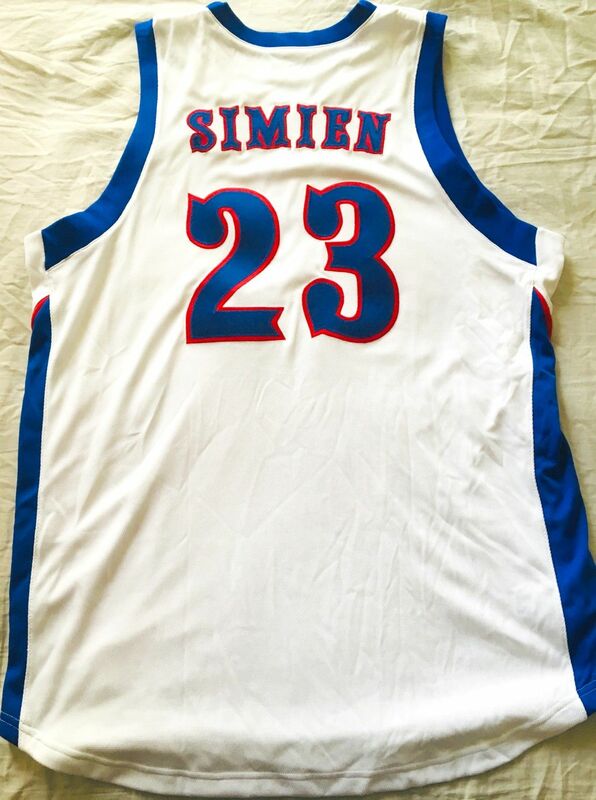 As shown on ESPN Outside the Lines, the vast majority of stitched basketball jerseys sold on the internet are cheap counterfeits made in Asia with vinyl numbers made to look like cloth. This was a Nike blank team issued jersey customized and stitched with real tackle twill in the United States. NOT AUTOGRAPHED. ONLY ONE AVAILABLE FOR SALE.